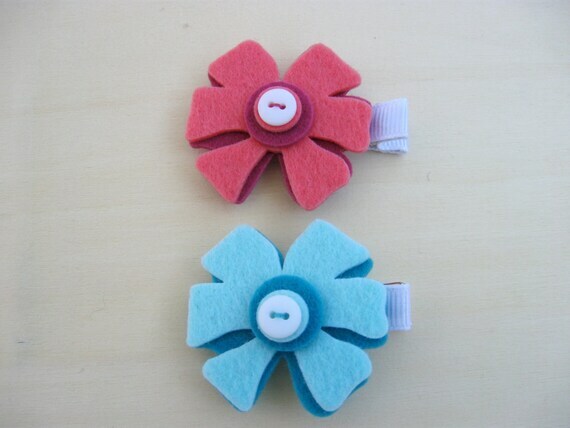 Handcrafted felt flower hair clips with button center. Cute hair accessory for babies, toddlers, girls, teens and adults. Pink and blue flower clips are 1 3/4" wide and are mounted on partially lined alligator clips. Great hair clips for everyday wear during the spring and summer months.